At the Interbank Foreign Exchange (Forex), the domestic unit opened higher at 74.18 and advanced to 74.05 on fresh dollar selling by exporters amid weakness in the greenback against some currencies overseas. The rupee closed 18 paise higher compared to its lifetime low of 74.39 in trade today on dollar sale by exporters and weakening of the American currency overseas. A rise in the equity markets also aided sentiment for the rupee. 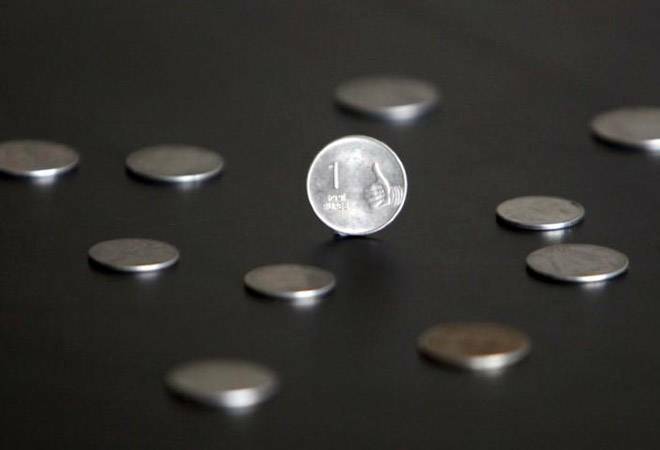 Later, the rupee erased some gains and finally settled at 74.21-up by 18 paise, registering its first rise after sixth straight sessions of losses. However, the rupee rise took a toll on information technology (IT) stocks. Infosys (2.38%), TCS (2.27%) and Wipro (1.05%) were among the top Sensex losers. The BSE IT index too lost 230 points or 1.52% to 14,891 level. Among 19 BSE sectoral indices, BSE Teck and BSE IT indices were the only losers in trade today. IT companies earn most of their revenues in dollars. So, each dollar earned abroad will now earn them lesser rupees. An industry thumb rule says that every 100 basis points, or bps, rupee movement impacts operating margins of IT companies by 30-50 bps. On Tuesday, the rupee slumped 33 paise to finish at a fresh lifetime low of 74.39 against the US dollar Tuesday on high crude oil prices, strengthening of the greenback and unabated foreign fund outflows. Tuesday's close marked the sixth consecutive session of decline for the Indian currency. Meanwhile, the Sensex rose 461 points or 1.35% to 34,760 and Nifty ended 1.54% or 159 points higher at 10,460 level.